Marisa Acidera and her husband Erick joined their friends for an evening of fishing near Lahaina, Maui. Once everyone had selected all their baits, the only thing left was a large ika head, so Marisa decided to use it. 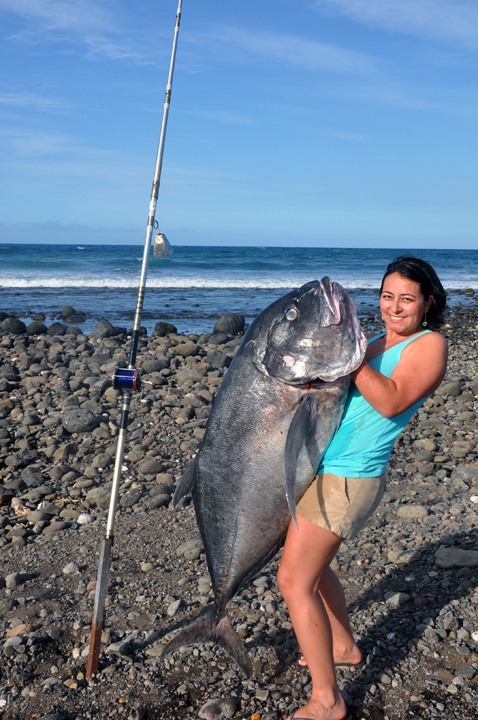 Sure enough, the least "prime" bait was chosen by a 102.7-lb monster ulua and Marisa was put to the test. She used a 13-foot Nitro pole, Penn 4/0 reel and 60-lb test Ande line to defeat the powerful fish.